One of the most effective ways to break the cycle of illiteracy and low expectations is through early childhood education. 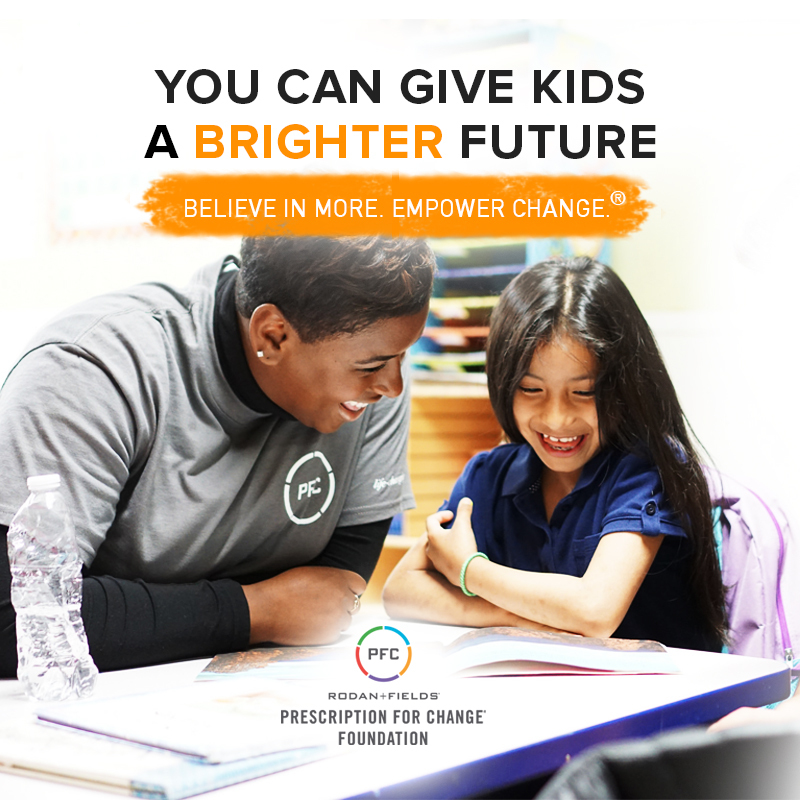 You can help by serving with the Rodan + Fields Prescription for Change® Foundation. When children have access to books and are read to regularly, they develop larger vocabularies, become more proficient readers, and are more likely to succeed in school. But children who grow up in economically disadvantaged communities, particularly those living in poverty, have significantly less access to books than children from higher income households. Putting a variety of books in the hands of young children is a vital first step towards lifelong literacy and academic success. Help children in need by collecting used or new children’s books. Consider hosting a storytime event at a daycare, school, or shelter as a fun way to donate the books you collected. This toolkit contains tips and instructions for a successful book drive.